All links to manuscript images below are current as of November 20, 2018. Please submit any notice of broken links through the Contact page. Coptic; papyrus codex; 4th/5th century; preserves essentially the complete Gospel of Thomas. 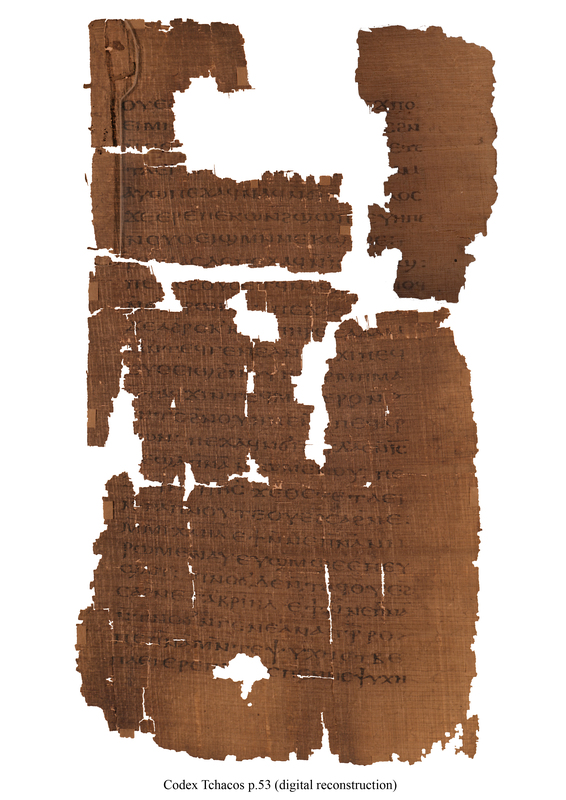 Greek; papyrus roll; middle/late 3rd century; preserves parts Gospel of Thomas Prologue+1-7. 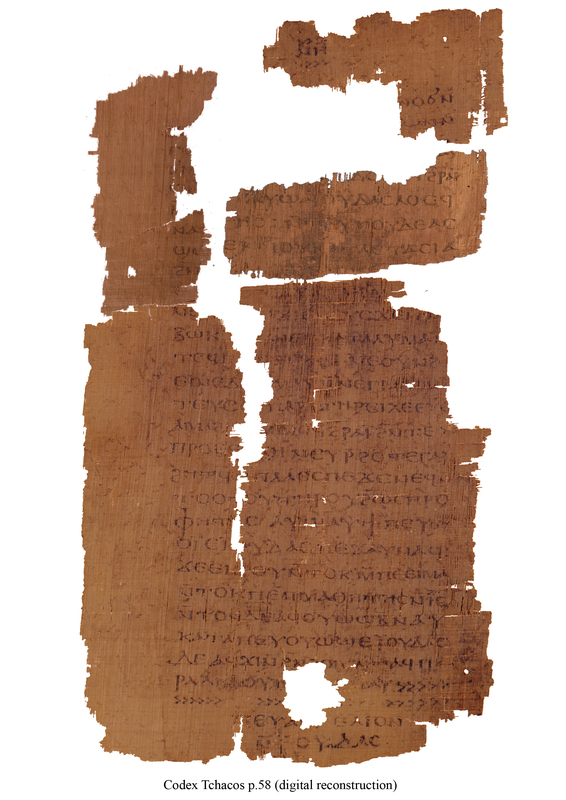 Greek; papyrus roll; 3rd century; preserves fragments of Gospel of Thomas 24, 36-39. 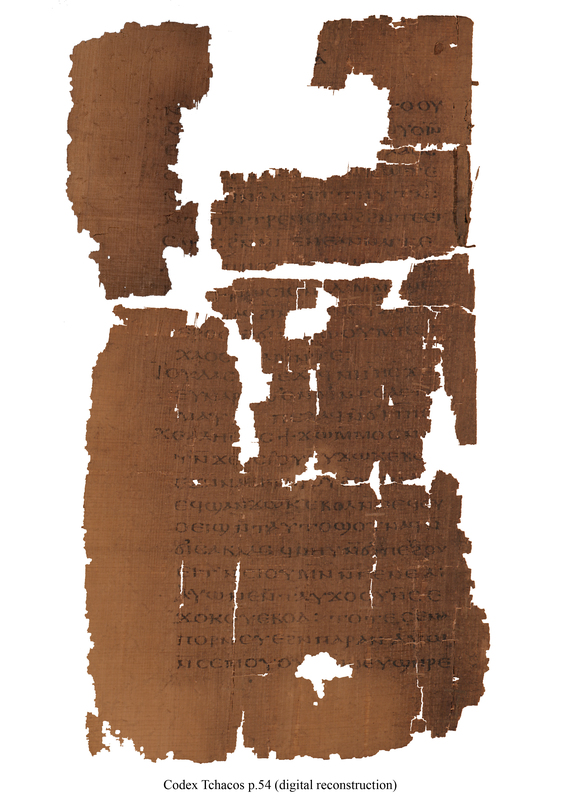 Greek; papyrus codex; late 2nd/early 3rd century; preserves most of Gospel of Thomas 26-30+77, 31-33. 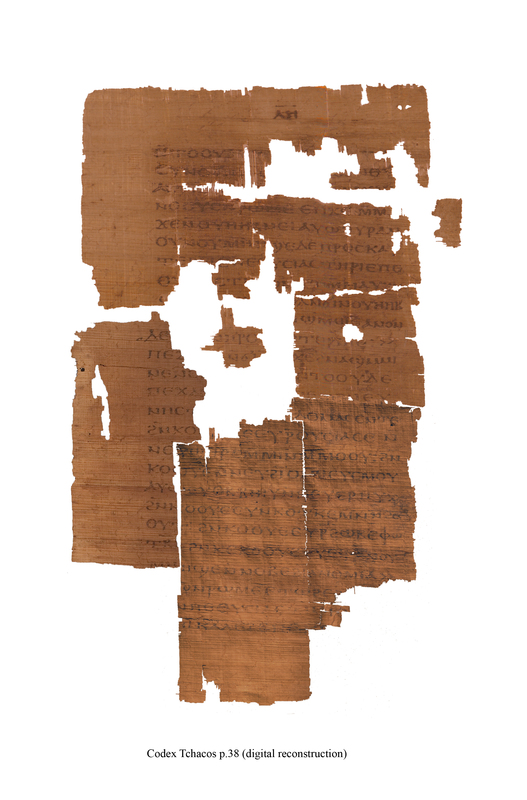 Greek; papyrus roll; 3rd century; preserves a version of the text found in BG 8502 9.5-10.13. Greek; papyrus codex; early 3rd century; a version of the text found in BG 8502 17.5-19.5. Coptic; papyrus codex; late 4th/early 5th century; preserves more than 90% of the Gospel of Judas. A team of scholars selected by National Geographic initially collated and photographed the available fragments of this badly damaged manuscript; then additional fragments from the codex were recovered and photographed. Gregor Wurst has used the various images to create provisional digital reconstructions of a number of pages in Codex Tchacos, filling many previous gaps in the text of the Gospel of Judas. Online images: Codex Tchacos, pages 33-58 (zip file) (National Geographic). Online images: Codex Tchacos, pages 37, 38, 41, 42, 53, 54, 55, 56, 57, 58 (Gregor Wurst). Coptic; papyrus codex; 4th/5th century; preserves essentially the complete Gospel of Philip (pages 51-86). Coptic; papyrus codex; 4th/5th century; preserves essentially the complete Gospel of Truth (Codex I pages 16-43 and fragments from a second version in Codex XII pages 53,54,57-60). Online images: NHC I, pages 16, 17, 18, 19, 20, 21, 22, 23, 25, 26, 27, 28, 29, 30, 32, 33, 34, 35, 36, 37, 38, 39, 40, 41, 43 (Claremont Colleges Digital Library). 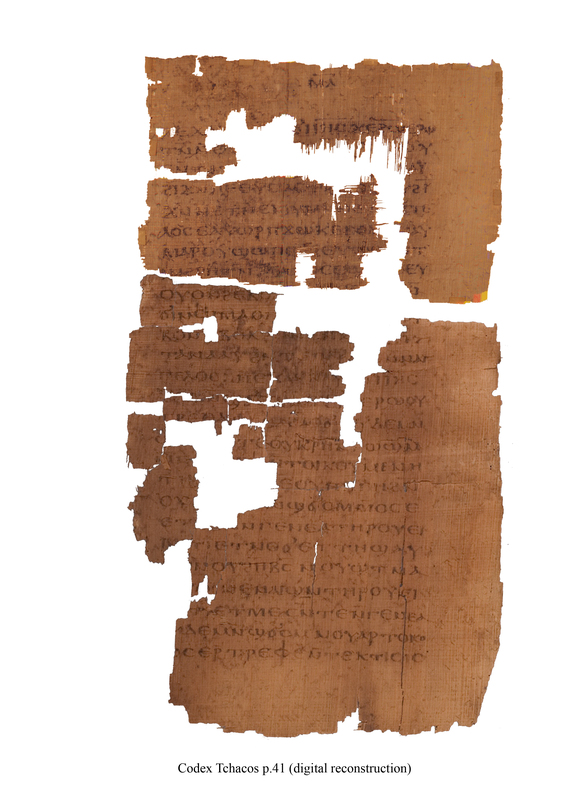 Greek; parchment codex; late 6th century; preserves what has been labeled Gospel of Peter vv. 1-60. 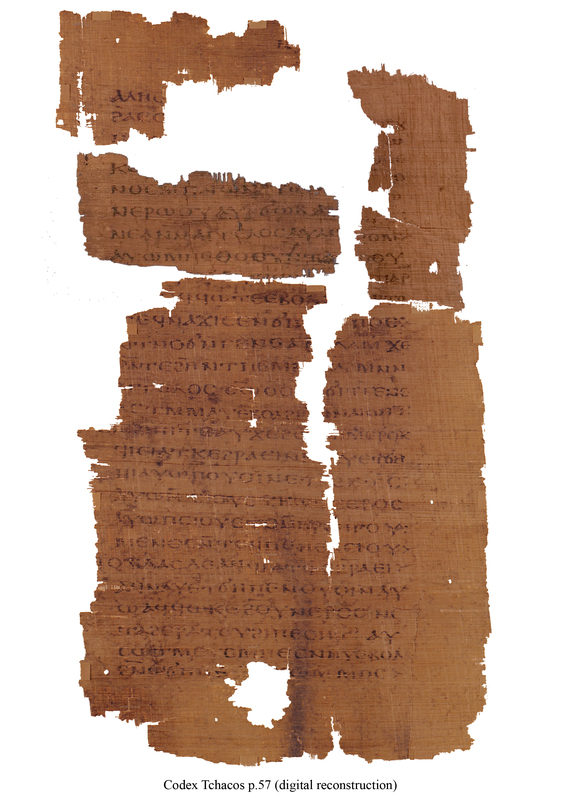 Greek; papyrus roll; late 2nd/early 3rd century; preserves text possibly from an alternative version of Gospel of Peter vv. 3-5. Greek; papyrus codex; 2nd century; preserves otherwise unattested text possibly from a lost portion of the Gospel of Peter. 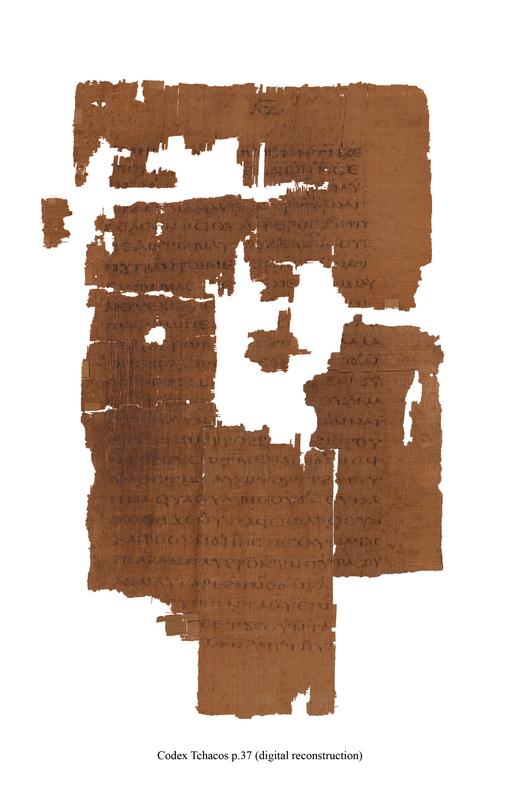 Greek; papyrus codex; late 2nd/early 3rd century; preserves part of an unidentified early Christian gospel. 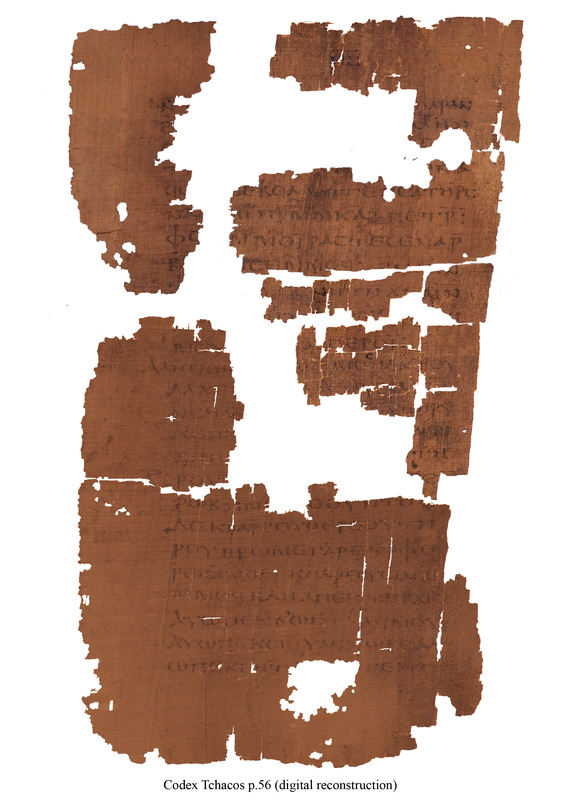 Greek; papyrus roll; late 2nd/early 3rd century; a part of P.Egerton 2, fragment 1 that adds approximately five lines of text to each side of the fragment. Over 140 manuscripts containing the Greek text of the Infancy Gospel of James have been recovered. Scholars have divided the manuscripts into five families. Though the Infancy Gospel of Thomas exists in several Greek manuscripts, early manuscripts in other ancient languages more closely approximate the earliest Greek manuscript, Hagios Saba 259 (11th century). Online images: Hagios Saba 259 pages 66 recto, 66 verso and 67 recto, 67 verso and 68 recto, 68 verso and 69 recto, 69 verso and 70 recto, 70 verso and 71 recto, 71 verso and 72 recto (Library of Congress Collection of Manuscripts in the Greek Orthodox Patriarchate of Jerusalem).